It will be more difficult for GM to compete soon. 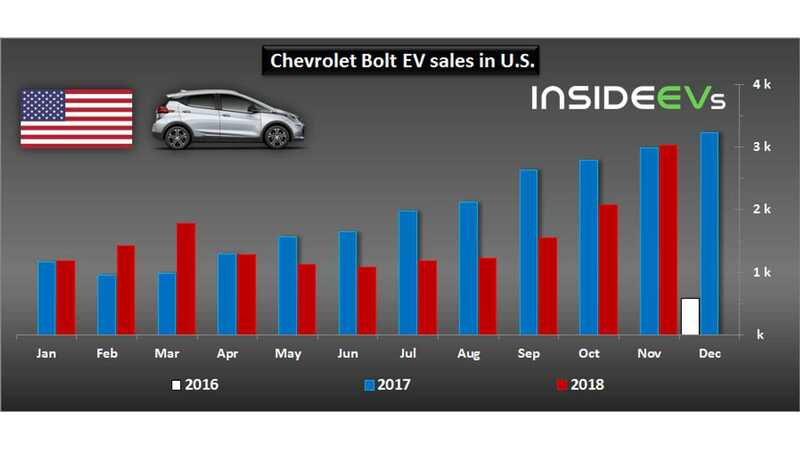 According to our estimates (see Monthly Plug-In EV Sales Scorecard), General Motors crossed the mark of 200,000 plug-in electric car sales in the U.S. before the end of November 2018. 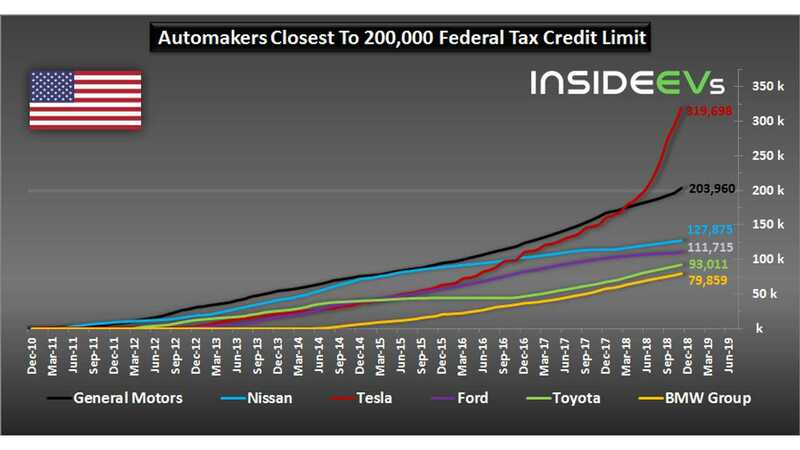 The 200,000 sales is the magical number, which triggers the phase-out of the federal tax credit of up to $7,500. Even if not all customers applied for the tax credit or if there is some delay between sales and the federal tax credit tally, the 200,000 will be fact in this quarter. 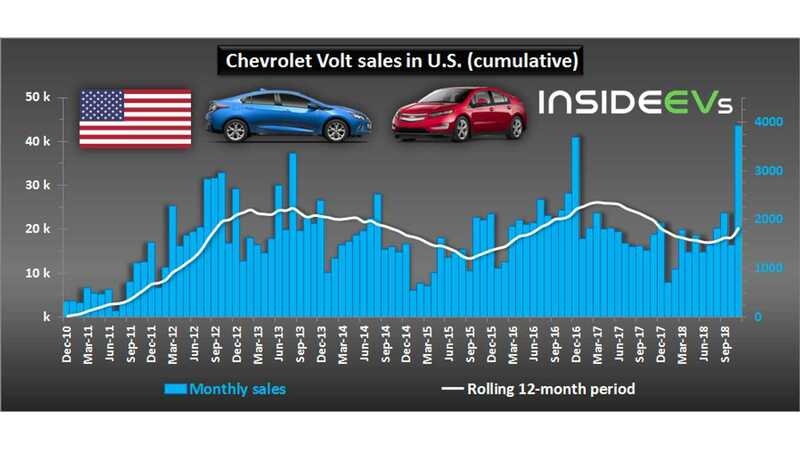 More than 75% of all GM's plug-in car sales fall on the Chevrolet Volt, which in November 2018 hit its new all-time record of 3,930! It would've been great news, but it was overshadowed by news that GM ends Volt production by March 2019, which is, by the way, the last month of the full $7,500 federal tax credit for GM. The federal tax credit was designed to jump-start the market of plug-in car sales and the main question is whether GM used the incentive in a way that will enable the company to gain a competitive advantage? 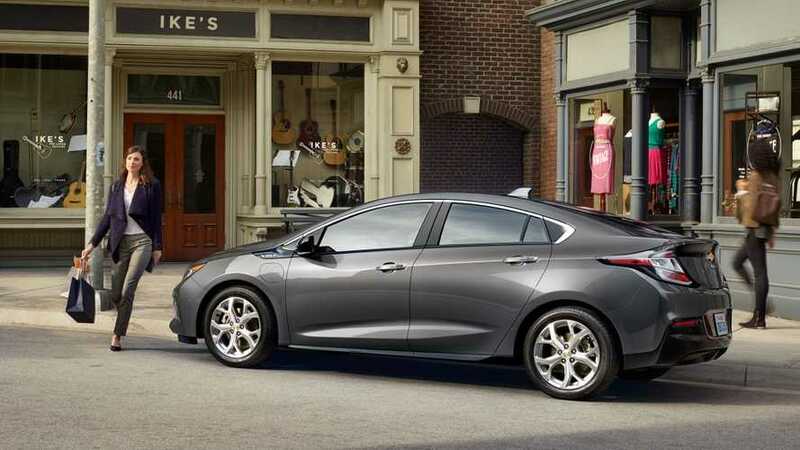 Well, without copying the Volt powertrain to some popular SUV models over eight years and now ending the Volt, we feel GM failed to utilize its early start and position. Similarly, it happens also to Nissan, which needed years to make the LEAF more appealing from a design standpoint and still didn't introduce the 60 kWh version (now it too is behind newcomers like Hyundai-Kia). So far the winner seems to be Tesla - because it utilized the $7,500 in the ramp-up phase to the point when $7,500 will not be of that much importance (hopefully). Paradoxically, hitting the limit should mean that GM will produce EVs at a higher scale now, because this is the only way to keep the price per unit low when there is no federal tax credit of up to $7,500.